It has been a busy year and we have been developing new trips and making our current trips better. Our proudest moment of 2016 was the opening of the new school in the village of Goli Nepal. The 7.8 earthquake in April 2015 still rattles communities and has left many people without homes, education, medical and other facilities. If you would like to DONATE, visit the village and help, or trek with us and raise money get in touch. We would like to thank all the people on our trips who have raised money for the Village of Goli in Nepal and the Mt. Everest primary school in Uganda. This video above is our latest in a long string of video’s. It was filmed on 4 continents over a 4 year period. Offering quality Kilimanjaro climbs, Everest base camp treks and treks across Nepal is what we are aiming for. We have shifted over the last 5 years to just offering quality run trips with more acclimatization with professional western guides on all our climbs over 6,000m/ 20,000 feet. We have seen a lot of cheap, unsafe and poorly run expeditions in places we operate. We have our own office in key locations along with full time staff and training giving us full control over the service we offer. We are in the process of setting up an office in South America and will have full control over our Peruvian adventures in 2018. We want to see staff treated correctly, invested in and have the chance to develop with us on their journey. One of our full time staff in Tanzania is currently training for his Island peak climb with us in Nepal in 2017 and Two full time staff from Nepal will be climbing Kilimanjaro in 2017. We ran treks in Morocco and Kenya in 2016 but we ran 15 Kilimanjaro climbs and we had 100% success on 11 of those climbs. 95% of our Kilimanjaro climbs were on the Lemosho route with some on the Machame route. 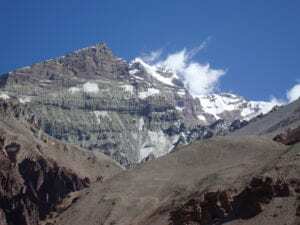 The Lemosho route is more interesting route up the mountain and hands down gives better acclimatization and a safer and more enjoyable experience climbing the mountain. We had 20 safari’s running in 2016 on a wide range of itineraries. The most most popular being our 2 night 3 day safari going to the Ngorongoro crater which is truly as amazing experience. In Nepal, we ran 6 Island peak climbs, 4 Mera Peak climbs and 20 Everest Base Camp Treks. We had a range of private group treks and climbs with great success. We had 100% success on 16 of our Everest base camp treks. Having 3 nights acclimatization in Namche Bazaar on the way up the trail is making all the difference in giving people a safer, more enjoyable and more successful trek to Everest. It has been a busy year for Ian Taylor Trekking and we are developing new and exciting treks and climbs in Nepal and elsewhere. For me personally 2016 was a big year and 2017 will be even bigger. In February I climbed Kilimanjaro twice, in March I crossed Svalvard with a team preparing for a new route to the South Pole in November 2017. From Svalbard I toured Ireland with a group then headed to Everest Base Camp then climbed Island peak for the 8th time. In the summer I lead a few treks on the Inca trail to Machu Picchu from Peru I headed back to climb Kilimanjaro two more times then directly on to Everest base camp, Island peak for the 9th time and then a 3 week climb on Mera peak. It was a busy year for me. I have been ramping up the amount of trips I am doing in preparation for an exciting trip to Antarctica in November 2017. Myself and small team are aiming to ski a new route from the coast of Antarctica to pole over 1,300km. It will be an unsupported ski to the pole. We will start pulling all our own equipment 110kg with no drops or help. A challenging journey we hope we can be successful!! In 2017. I will hopefully climb Kilimanjaro 4 times, lead 3 treks to Everest, Climb Island peak twice, cross Greenland (600km) Lead a few trips to Machu Picchu, some climbing in the Alps and then heading to Antarctica in late October next year for a November start. There are limited spaces on the trips I am leading but check out all our 2017 dates and UPCOMING TRIP. CLICK HERE for upcoming talks in Ireland in 2017. CLICK HERE and e-mail us for further information.